Laboral Cinemateca is located in Laboral Ciudad de la Cultura. Laboral Ciudad de la Cultura occupies a unique building in Gijón. Originally planned as an orphanage and later transformed into an Occupational University, at present proposals regarding creation, culture, art and education intermingle in this monumental complex. The Assembly Hall of the Laboral. With the shape of the bows of a ship and an avant-garde solution, the Auditorium is a multi-purpose area with capacity for 150 personas where the projections of Laboral Cinemateca will take place as well as another type of events such as seminars and lectures. 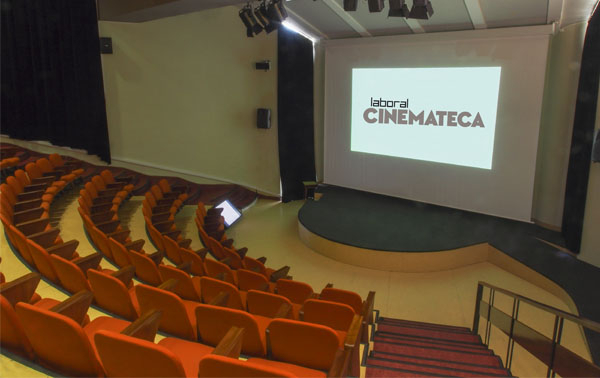 The Auditorium of the Laboral is equipped with a DCP digital projection system, a 35 mm projector for analogical cinema, digital 5.1 Dolby sound system with surround system and a projection screen measuring 6 x 4.5.